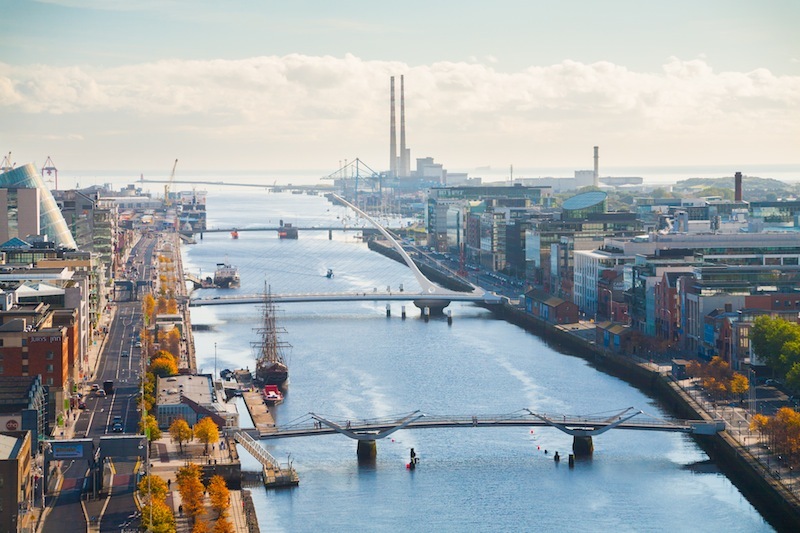 Ireland has become one of the most popular investment destinations for HNW investors since Brexit vote. Ireland is a strategic country and excellent base to do business in UK, Europe and America. Besides these Ireland is an excellent foreign investment destination to form a company. Low corporate taxes also attract several tech companies to Ireland. Ireland offers investment based residency to HNWIs and UHNWIs through the Irish immigrant investor programme. The Irish investment scheme is half the price of UK tier1 investor scheme which requires £2 million pounds. The Irish Government created the Immigrant Investor Programme (IIP) to facilitate investors and business professionals from outside of the EU to avail of the opportunities of investing and locating business interests in Ireland in order to support investment in Ireland and to enhance Ireland’s position as one of the world’s most globalised economies. The Immigrant Investor Programme (IIP) is open to non-EEA nationals who commit to an approved investment in Ireland. Investors and their family members receive residence permit to live in Ireland for initial five years. The Investor is not required to live in Ireland, however required to visit Ireland for one day each year to maintain the Residency Permission. Investors who wish to undertake one of four eligible investments in Ireland and must demonstrate of good character and also have minimum net assets of €2 million euros. Applicants must make an application for a Single Entry D reside Visa only. As and from the 14 August 2017 no other Visa type will be accepted when registering an IIP Immigration Permission i.e. A BIVS or C Visit Visa. For a re-entry visa the applicant must complete an application form and provide a valid passport, valid Irish Residence Permit (IRP) or GNIB card, 2 Irish Passport Size photographs and the appropriate visa fee i.e. €60 (Single) or €100 (Multi). In the case of an application for a visa in respect of a minor child, under 16 years, the original birth certificate with translation by a certified translation company should also be provided. The Immigrant Investor Programme guidelines do not provide for the transfer of investors between projects. However due to the commercial sensitivities around the closing of some projects it was decided that where projects were frustrated, or did not proceed for commercial reasons, through no fault of the investor, then a single opportunity to transfer to another approved project will be permitted. The written approval of the Evaluation Committee will be required before any transfer completes. In exercising this option, the investor must not frustrate the completion of the project for which their current IIP approval was granted and a letter from the proposer/developer of the approved project must be provided confirming this. The investor may only transfer to an approved project at a similar investment threshold, i.e. €1.0m project to a €1.0m project. An investor may not transfer to a project that was not approved at the time of their original application. If a project does not commence through no fault of the investor then a single opportunity to transfer to a new project will be afforded subject to the new Project being considered and approved by the Evaluation Committee. It should be noted that an investor may withdraw from an approved project and not register the immigration permission granted. It is also open to an investor to withdraw and submit a new application for a different Investment option; however where it is established that they frustrated a previous project or caused that project to fail then no immigration permission will be granted and no further applications will be accepted from them to the IIP programme. From 01/01/2018 no application for transfer will be accepted by INIS and any investor wishing to transfer between projects will be required to submit a new application with the appropriate fees etc. INIS has announced the applications will be refused if the investments are funded by loans. A minimum investment of €1 million in an Approved Investment Fund. Investment Funds that have been approved for the purposes of the Immigrant Investor Programme by the Irish Naturalisation and Immigration Service (INIS). Once such investment fund is IDLF. The IDLF is a Central Bank of Ireland approved and regulated investment fund which gives overseas investors the opportunity to invest in Ireland, while supporting Irish job creation. The IDLF provides lower cost, asset-secured finance to the Irish hotel sector. Loans are provided to suitable Irish hotels on more favourable terms compared with traditional banking institutions, and are secured against the hotel property. Loans are provided on a fixed 5 year term. The Irish Diaspora Loan Fund is authorised by the Central Bank of Ireland as a designated investment company. The IDLF is an approved loan origination fund, meaning that funds under investment are used to issue fixed term asset secured loans to Irish hotels which meet eligibility criteria. Successful Investor Applicants are required to invest €1,000,000 into the IDLF for 5 years and 6 months. In return, the Investor (and nominated family members) will secure Residency Permission for Ireland, enabling freedom of movement within Ireland and the UK (both European Union members). Provided the applicant abides by the programme rules,this Residency Permission will be renewed every 5 years without limit. Real Estate Investment Trusts (REIT) A REIT is a listed company, used to hold rental investment properties. It is a globally recognised standard for investment in rental property assets, already established in many developed economies including the US, Europe, Asia and Australia. The aim of a REIT is to provide an after-tax return for investors similar to that of direct diversification. To eliminate the double layer of taxation that typically hinders the holding of property through a company, a REIT is exempt from corporation tax on qualifying profits from rental property. Instead, the company is required to distribute the vast majority of its profits to investors each year for taxation at the level of the investor. The company must have a diverse ownership – no one person or group of connected persons can control the REIT. The taxation provisions that permit REITs to operate in Ireland were provided for in the Finance Act 2013. A minimum investment of €2 million in any Irish REIT that is listed on the Irish Stock Exchange. The €2 million investment may be spread across a number of different Irish REITs. The investor must declare an intention to invest in a REIT as part of the application process. The full REIT investment that has been approved for the Immigrant Investor Programme must be held for three years from the date of purchase. An investment in a REIT provides an investor with a lower-risk property investment model in which the investment is diversified into a pool of properties. The debt limits within the REIT reduce exposure to negative equity risk, and REITs are income producing investments which are required to distribute the majority of profits each year, and so generate a regular income stream for investors. Only REITs that have a listing or have applied for a listing on the Irish Stock Exchange and which have given notice to the Revenue Commissioners under Section 705E of the Taxes Consolidation Act 1997 are eligible for the REIT investment option under the Immigrant Investor Programme. Irish Passport is the sixth powerful passport in the world with visa free access to 185 countries in 2018.